German dark metallers Withania have finished their debut album “Blütenstaub und Weidenharz” and they are in search of a label to release it. 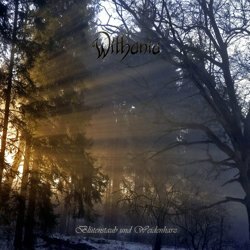 Withania actually started in 2004 under the name Weidenbaum and released 2 full-length albums, “Nebellieder und Nachträume” in 2008 and “Raue Winde und Blasse Schwingen” in 2009. In 2013 the band changed its name to Withania and in summer 2014 the duo finished the recordings for the new album, the first under the new name. “Blütenstaub und Weidenharz” is a work that wanders and goes beyond the fields of (dark) metal. Withania have unveiled a draft sketch of the cover, but the final version might look different. Album tracklist is also available, as well as the album trailer that you can watch below.